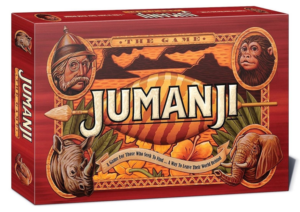 The highly anticipated Jumanji board game has arrived! 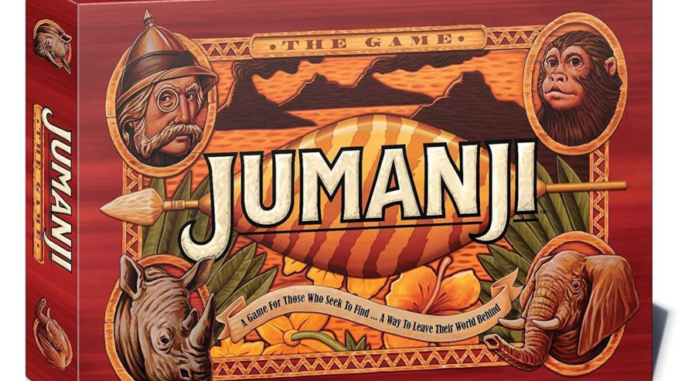 Unfortunately, if living in the UK, you have been unable to buy a Jumanji board game…until now! Work your way through the jungle, working as a team but you need to watch your back! The other player(s) could double cross you and force the rhino to stop you from moving forward, whilst they work their way to the finish!! 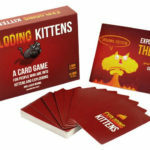 Suitable for 2-4 players, the rules have a slight alteration to make it more interesting if there’s only two of you playing. 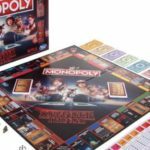 Suitable for ages 8 and above, you could certainly play this as a family. One thing we did find worth noting, the rule book states that you have 6 seconds, to try and roll the matching symbol you need to save the other player(s). The sand timer which was included in our box, we timed how long it took from turning the timer over to the timer being empty and found that, it took 10 seconds. This didn’t bother us as it just meant you got an extra few seconds to try and roll the matching symbol! One of the nice things we liked about this game was, you really do have to work together to help get defeat the danger cards, if you don’t work together and you fill up the doomsday grid, you will all lose the game. 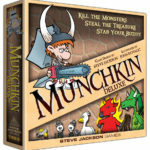 Overall; once you’ve got your head around the rules, it really is a fun game to play. Take a peek at our un-boxing video to see what you can expect inside.